The Bachhawat Foundation along with Gallery Rasa – The Print Room will co-host a printmaking residency at the Badu premises. The residency is aimed at encouraging emerging artists to continue their engagement and research in the printmaking medium and provide a facility for the same. It aspires to orient traditional printmaking practitioners to consider conceptual, contemporary ways of applying this time-honoured medium and thus keep its use alive. 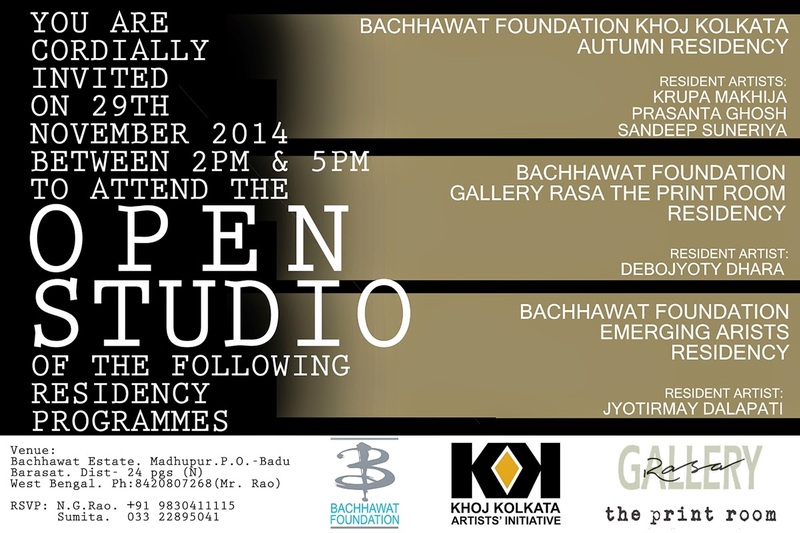 The residency commences on 1 November 2014 and culminates in an Open Studio on 29thNovember 2014. The artists-in-residence for this year is Debojyoty Dhara. The residency would be coordinated by Rakesh Sahni , Dr. Paula Sengupta and Archana Hande.